Clarke Caton Hintz has extensive experience in advancing green infrastructure and resiliency solutions. We have prepared several plans that lay the policy foundation for regulations requiring or incentivizing green infrastructure. In addition to this policy work, we have prepared ordinances that address nearly all aspects of land use regulation, including green infrastructure and resilience. As part of this, we work with municipalities, as well as their engineers, on review and implementation of the stormwater management ordinances and stormwater management plans. 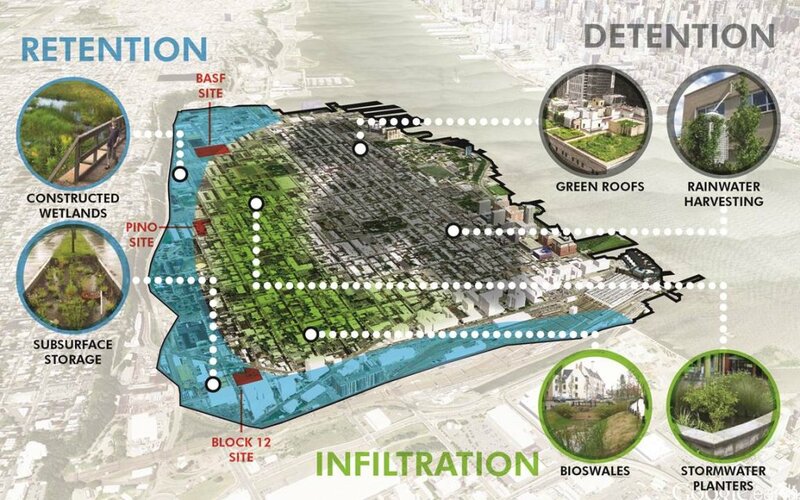 We have a deep understanding of the challenges and opportunities of integrating green infrastructure into site and building design. As municipal planners, landscape architects and architects, we work with municipalities and developers during the site plan review process to see land use ordinances implemented properly.